What is a Discovery Box? 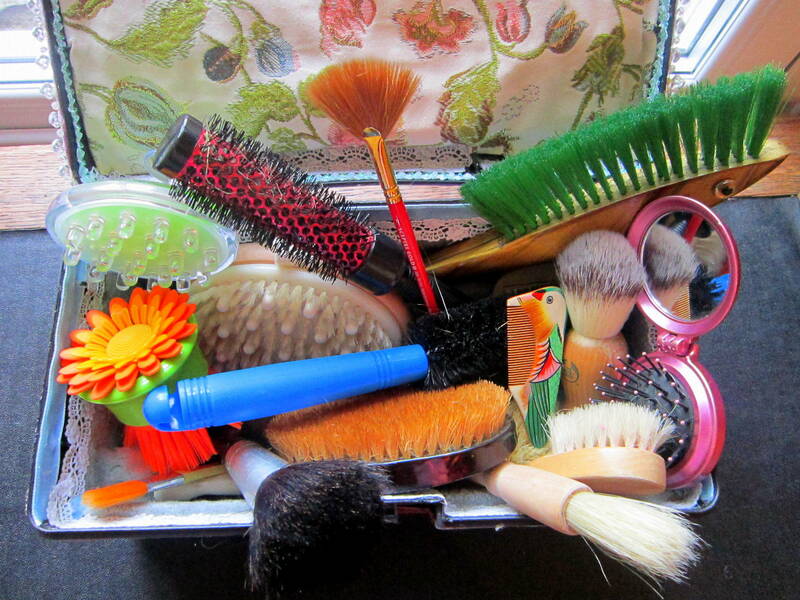 A Discovery Box is a treasure box of unexpected, unusual or exciting items that children want to play with for hours! I started the making the Discovery Boxes because I believe childhood is a wondrous and magical time, and has too many restrictions imposed on it which end up spoiling all the fun. 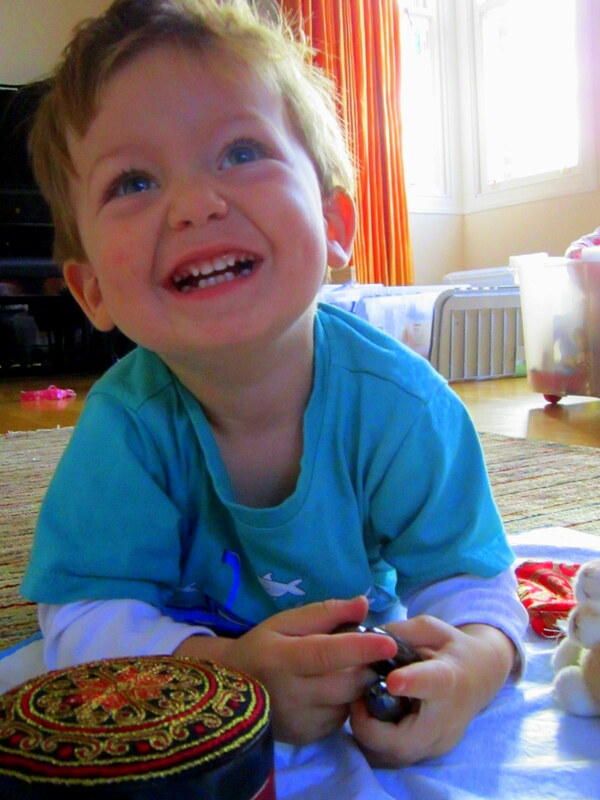 So I wanted to conjure up a child’s feeling of wonder and exploration of the world – in a box! After creating the first dozen or so boxes, I learned from the internet that the Discovery Box or Treasure Basket concept is actually not new at all and it was not originally my idea. Bother! But having examined what others have done with their versions, I concluded that we are all doing it slightly differently and can all learn from each other. Feel free to compare! But most of all…ask the children what they think. To you, that box of random objects may look pretty unexciting. (One man said to me, “Buttons? Are you going to do some sewing?”) But let a small child open it… and just watch the look on his face. 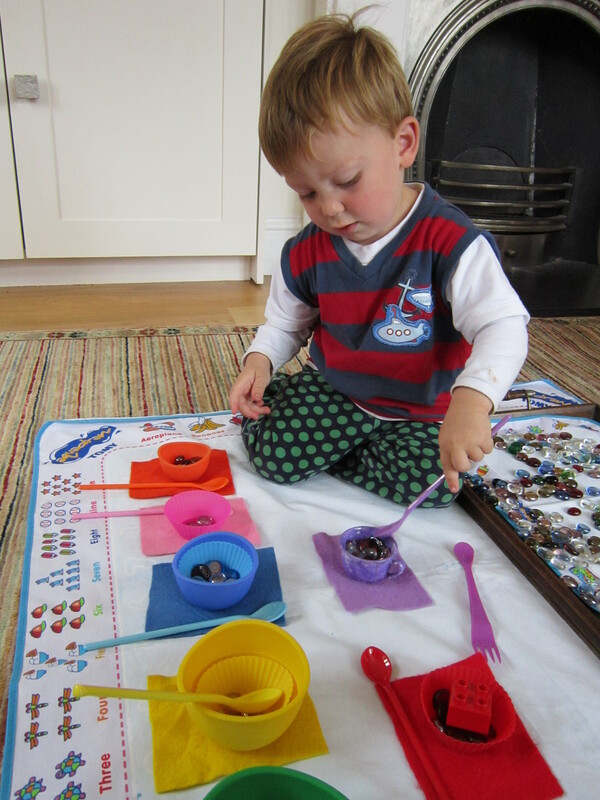 This little boy learned to recognize and name all the colours before he was two with the help of the sets of rainbow coloured bowls, mats, spoons, buttons and glass pebbles. He would eagerly ask for his ‘bubbles’ every day and even cry if he wasn’t allowed them! 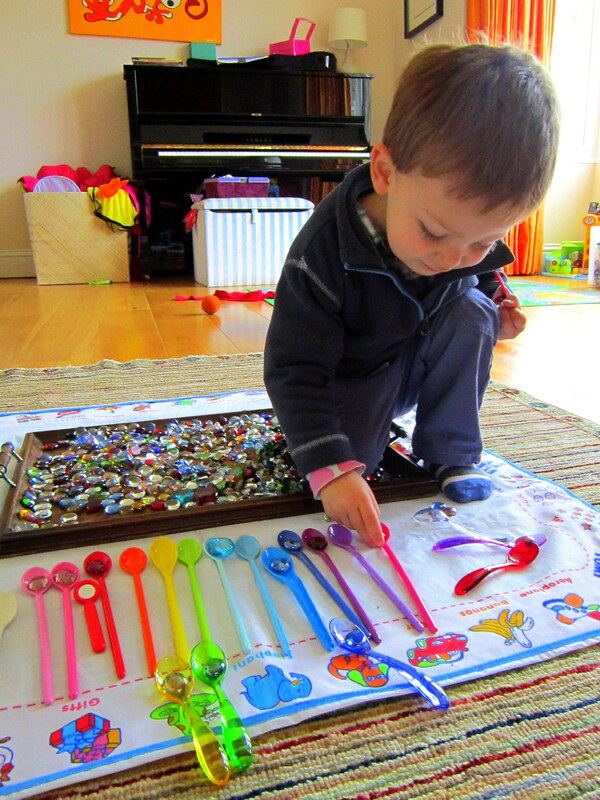 At two and a half, he delighted in a game of matching glass pebbles to their corresponding coloured spoons. He learned new colours every day. As he played, he pointed out the names of the colours to himself. I don’t want to ramble on here, but if you take a look at my post “A Sense of Wonder” (column to your right) and the pages entitled “Welcome” and “The Discovery Concept” (in the menu above) – you will get more of an idea where I am coming from with all this. Take a look around. If you like what you see on this site and want to make or own a Discovery Box yourself, I would be more than happy to help with ideas. Please feel free to fill in the contact form or leave a comment or question on one of the pages, and I’ll do my best to help with any queries you may have about owning or making a Discovery Box for yourself and your children. I know the children I work with, and what I can trust them with. You know your own child. Every child is unique, with different capabilities and character. Therefore it is probably best if, like me, you assess the risk of each item you introduce yourself to your children before deciding whether the educational benefits may outweigh any possible risk.